This badge was issued to francisco martin riccio chavez on 17 Dec 2009. 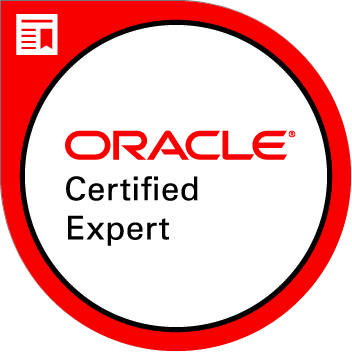 This certification is retired by Oracle. Candidates were required to upgrade to a current version by March 1, 2016 to keep this credential active. Candidates who upgraded to retain access to the eCertificate, logo and digital badge. They can also provide verification through certview.oracle.com. Candidates have the training and knowledge to efficiently configure and administer a database for use with Real Application Clusters.